A cluttered office can leave a bad impression on your clients. If your office space is all messed up, then it can also affect your creativity and productive output. Keep your office space clean in the same way as you keep your house clean. You can also hire office cleaners to clean your space. 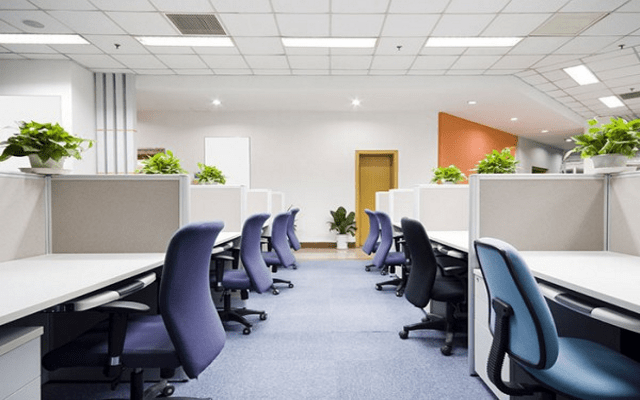 There are many Office cleaning services in NJ that can help to clear your office space and make it look clutter-free. So, here are 7 logical ways to clean the office mess, continue reading. There may be files or documents that you just do not need it. Look at those files and documents and if it’s not required then you can use a shredder to shred those paper documents. Shred all the old documents that are a reason for clutter in your office. And, you can mark the remaining files with the marker and keep them well organized at your office cabinet. This just requires a little effort on your end. If you are confused regarding so many business cards, then you need to sort them out. The best way out is to keep them stored in your phone. Scan all the important cards and store them on your phone. You can also store important numbers against the names. If you like to stay socially connected then you can add these cards to your LinkedIn account or contacts. There are so many ways to get rid of clutter. Simply use a way that suits you to keep your office space clean and organized. You don’t have to keep everything in front of you to make things work. If there are some important dates to remember, simply put it up on a pinboard on your desk. You can also use a notepad and write down all the important dates and points. One notepad is enough to organize your day. You can also use a dairy for this purpose. It is a must to keep a trash can in your office. Ideally, somewhere near your desk. Use a trash can for your papers or wrappers. To avoid foul smell from the trash can, use a newspaper or a garbage sheet at the bottom of the can. All the wires and cables on your desk can make your office space look bad or cluttered. If you want to organize your space in a proper way, then it is must use binder pins for wires and cables. The binder pins will take care of long wires that create a mess on the desk. If the wires are organized, it will make a difference in keeping your desk neat. The most important thing to take note is to clean your space. Take a stock of things that you do not really use in your office. If it’s not required simply do away with those things. Always keep the things you need on your desk apart from your desktop or laptop. This can also increase your productivity to a very good extent. Use a good cleaning solution to clean your office desk from time to time. You should always dust the space and then start your work. It is important to work in a cleaner space so that you feel good about your work. Keep your office clean and get more creative! You just require a little effort and time for clean up! There are many Office Cleaning services in NJ that can also help you with your office cleanup.